The Buzzer is CBC Sports' daily newsletter. Get up to speed in a hurry on the interesting stuff happening in sports, including how Peter Chiarelli's failure to help the best player in hockey cost the Oilers GM his job. He took a promising setup and wasted it. Chiarelli became the Oilers' general manager just days after they won a lottery for the right to take generational superstar Connor McDavid with the first pick of the 2015 draft. But he neutered the team with a series of bad moves right up until his firing. The worst was trading star forward Taylor Hall for OK defenceman Adam Larsson — Hall won the NHL MVP award in his second year with New Jersey. Chiarelli also signed forward Milan Lucic to a seven-year, $42-million US free-agent contract. He has five goals in 50 games this season — and four-plus years left on his deal. Chiarelli failed in the wrong place at the wrong time. You can be a bad GM in an outpost like Florida or Arizona for years and no one will bother you. But Chiarelli worked in a Canadian city and was entrusted with the best player of his generation. He failed McDavid, and that's been treated like a crime against hockey. Today, it finally cost him his job. Poor McDavid, by the way. He's in contention to win his third consecutive scoring title and he already has an MVP under his belt. He's still only 22 years old. But it looks like he'll miss the playoffs for the third time in his four NHL seasons. The best player in hockey deserves better, but he's locked into one of the worst-run teams in the sport. 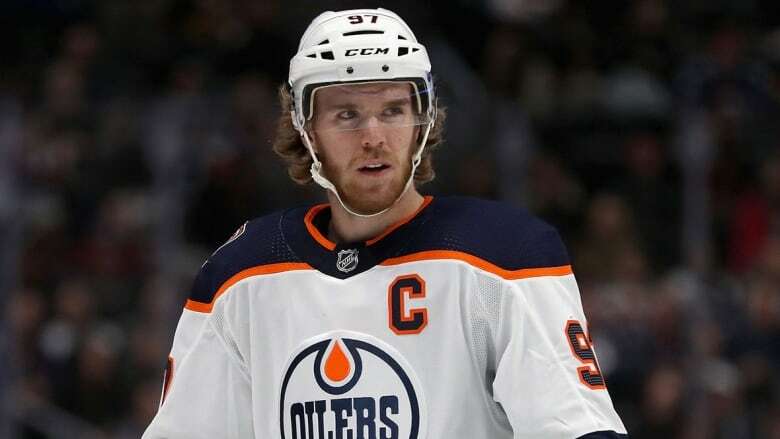 McDavid signed an eight-year extension in the summer of 2017, right after he led the Oilers to the second round of the playoffs and things were looking up. Yes, he'll make $100 million from the deal, but you have to wonder if he regrets it. But there's hope. The Oilers still have the best player in hockey, a really good No. 2 guy in Leon Draisaitl and another strong forward in Ryan Nugent-Hopkins. That's a nice core for the new GM to work with. The key will be what he does to surround them. That's where Chiarelli went wrong. The late Blue Jays ace and the great Yankees closer were two of the four players voted in. Joining them are Yankees/Orioles pitcher Mike Mussina and Mariners designated hitter Edgar Martinez. 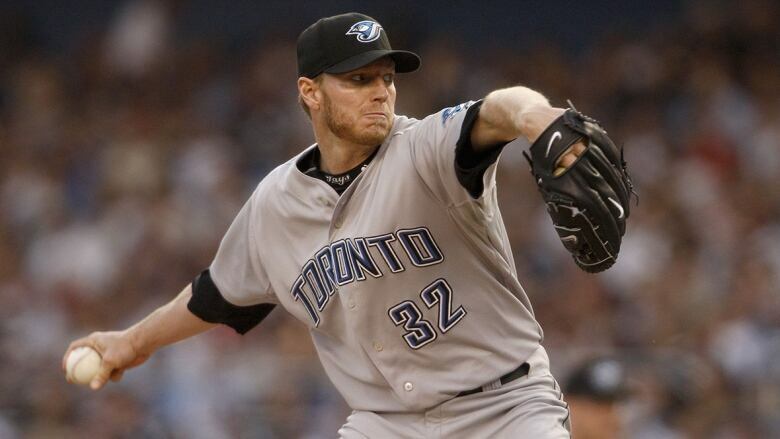 Halladay, who died in a plane crash in 2017, pitched 12 of his 16 big-league seasons for Toronto and won his first of two Cy Young Awards there. His family will choose which team he represents. Roberto Alomar is the only player to go into the Hall of Fame as a Jay. Rivera is the first player to be elected unanimously. The closest had been Ken Griffey Jr., who fell three votes short in 2016. Rivera's feat is a result of both his greatness on the mound (he's the best relief pitcher ever) and his likability. Some baseball writers have been known to let personal grudges influence their Hall of Fame voting. Larry Walker didn't get in. The former Montreal Expos and Colorado Rockies slugger was hoping to become the second Canadian in the Hall of Fame, after Ferguson Jenkins. But he was picked by only 54.6 per cent of voters (you need 75). Next year is Walker's 10th and last on the ballot, though there's a committee that can later reconsider players who were rejected by the writers. Barry Bonds and Roger Clemens fell short again too. They're two of the greatest players of all time, but they've also been linked to steroid use. That disqualifies them in the eyes of some voters. They also weren't the nicest guys, which might be a factor here too. Bonds and Clemens both came in at around 59 per cent — slightly up from last year. They've got three more years on the ballot. Milos Raonic is out of the Australian Open. The 16th-seeded Canadian lost in the quarter-finals to No. 28 Lucas Pouille. Raonic was the last Canadian left in the singles draws at the first Grand Slam tennis tournament of the year. He said after the match that he's dealing with a knee injury. Pouille plays top-seeded Novak Djokovic next. The other semifinal pits No. 2 Rafael Nadal against 20-year-old Greek upstart Stefanos Tsitsipas. Serena Williams is gone too. She blew four match points and lost her quarter-final match, along with a chance to equal Margaret Court's all-time record of 24 Grand Slam titles. Williams' seven Aussie titles are the most by an player in the Open era. Lindsey Vonn isn't retiring right now, but she doesn't know when she'll compete again. The best women's ski racer ever was considering calling it a career after a rough season debut. Knee problems had kept her out before that, and Vonn said she was in a lot of pain all weekend. But she wants to try to get healthy and keep going, and she didn't even rule herself out for this week's events in Germany. Christine Sinclair moved one goal closer to the all-time record. The Canadian soccer star scored for the 178th time in her international career during a 1-0 friendly win over Norway yesterday. She needs seven more to break American Abby Wambach's record. Sinclair, 35, and her teammates are preparing for this summer's Women's World Cup. The Blue Jays have the top prospect in baseball. Vladimir Guerrero Jr., is No. 1 on the new list released by Baseball America. The slugger turns 20 in March. He's expected to start the upcoming season with Triple-A Buffalo and move up to the majors soon if all goes well. The Jays also have the No. 8 prospect in Bo Bichette, who's also the son of a former major-league star. A couple of New Orleans Saints fans are suing the NFL over a blown call. In their defence, it was a historically bad one — the missed pass-interference foul by a Rams player that would have basically put the Saints in the Super Bowl had it been called. They're asking a judge to order the NFL to either award the game to the Saints or schedule a re-do. Everyone knows the refs blew it, and the NFL is reportedly considering making pass interference subject to video review. But this lawsuit's chances are about as good as the Saints' of winning the Super Bowl.